Just Released My Latest Thriller, An Absence of Justice. 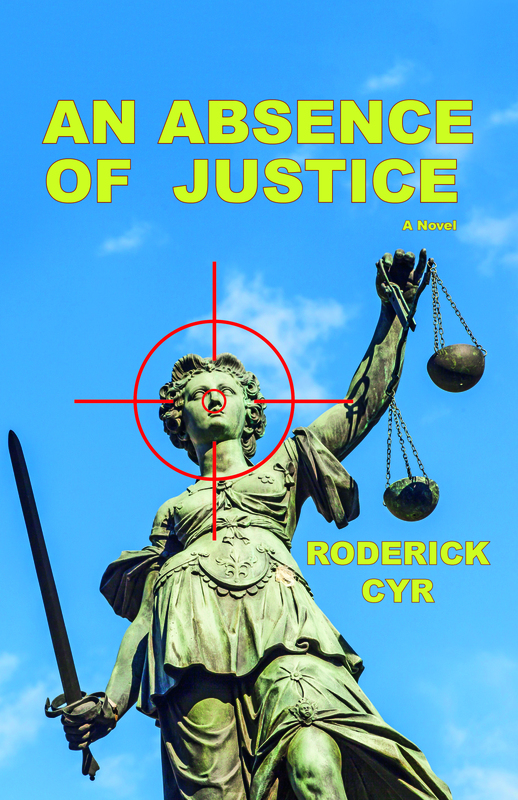 I just released my latest novel, An Absence of Justice, in September 2015. With first-rate writing, credible dialogue, and a riveting plot, it makes an exceptional read for any fan of suspense. Throw in a couple unforgettable characters, several bombshells, and plenty of heart-pounding action and you have one of the year’s best thrillers. “A complex, international thriller … that will hold the reader’s attention from the first page to the last … [It is] too good to put down and will leave you on the edge of your seat … With any luck, Cyr has already started working on a sequel.” (San Francisco Book Review). “Highly Recommended … A highly satisfying novel you soon won’t forget … When you turn the last page you’ll be begging Cyr to focus an entire series around the truly memorable protagonist.” (BestThrillers.com). “Thriller-aficionados will unite in praise for An Absence of Justice … A compelling, satisfying thrill ride [that] has it all; suspense, intrigue, surprises, and depth of plot.” (Portland Book Review). Synopsis: As one of the world’s leading authorities on technology, Malcolm Fitzpatrick uses his expertise to identify a unique brand of criminal: the privileged killer. These über-successful men sacrifice innocent lives in their pursuit of wealth, power, and greatness. Alarmed by their growing presence in Europe and the courts’ unwillingness to hold them accountable, Malcolm decides to intervene personally. In Paris, meanwhile, investigative journalist Camille Chevalier has written an incendiary story detailing despicable acts committed by three prominent Parisians. Before it goes to press, however, her editor leaks the story to one of the perpetrators, placing her life in imminent danger. To survive, Camille goes underground where she encounters an unlikely benefactor, Malcolm. Together they devise a plan to ensure the men identified in her story never harm anyone again. The ensuing cat-and-mouse chase crisscrosses Europe through Monte Carlo, Cannes, Geneva, and, finally, Paris, where an explosive, nail-biting finale occurs. It is available in paperback at Amazon and Barnes & Noble online. It is also available in a variety of e-reader formats (see links below). I encourage you to pick up a copy today. And don’t forget to recommend it to a friend and post a review on your favorite book review website. Previous PostThe Church’s Most Dangerous Doctrine.Next PostAre You Planning for the Right Retirement?